To develop a new, sheltered viewing and information complex for visitors. A development of three covered structures was needed – a circular information point and two viewing areas on different levels, to provide shelter and unobstructed views. The circular structure needed to be open-sided so that both the rhino enclosure and other animals on the opposite side could be viewed. The rhino viewing platforms needed to be built on differing levels. The overall theme needed to be in keeping with the natural habitat of the rhino. 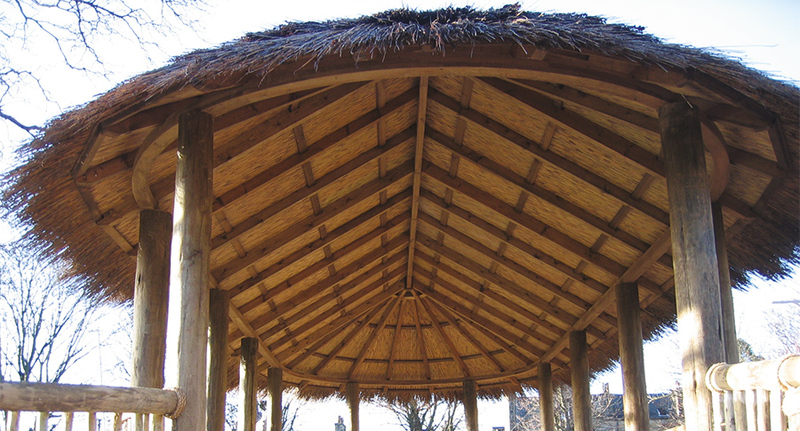 A circular thatched and timber Savannah Breeze House was the perfect answer for the information point, giving all-round vision and shelter, with the addition of a spikey Cape Reed cone for futher interest. 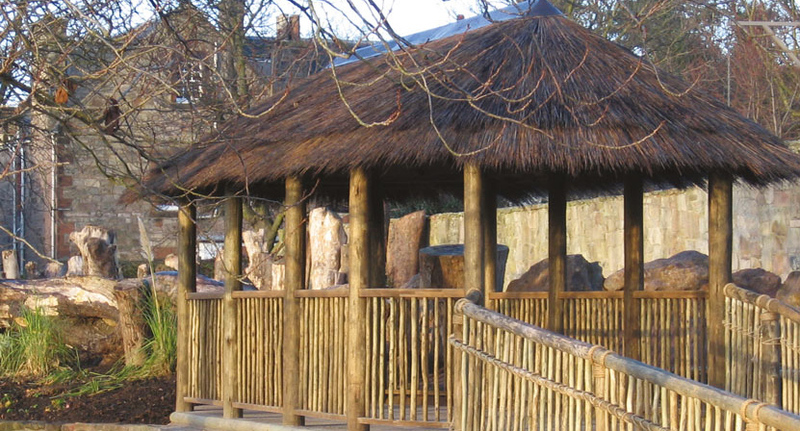 The two rhino viewing platforms were constructed using authentic eucalyptus posts and the roof was finished with Cape Reed thatch, with the seed heads retained to give a more natural, tropical look. The three buildings enable visitors to view the rhino in a safari-like, sheltered and authentic environment, further enhancing the visitor experience.